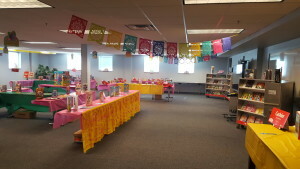 The Schoenbaum Center came alive with the Scholastic Book Fair in March! 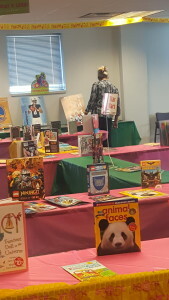 We were happy to have been able to partner with Scholastic for this public fundraiser to benefit the children served at Charleston Child Care and Learning Center, providing new classroom books. Parents, educators, friends and family members turned out to support this exciting event. Family literacy is an important shared experience between family members supporting literacy development. Early experience with books and print allow children to achieve concepts for a strong foundation of literacy. Literacy opportunities at home and at school will help engage children and assist with developing their listening, oral language, along with reading and writing skills. Reading is a lifelong gift for children and families, and we are so proud here at the Schoenbaum Family Enrichment Center and Charleston Child Care and Learning Center to support learning through reading at all ages.